CREC is available to manage all phases or specific areas of a district's transportation system. Working with districts to design and implement a regional transportation plan. CREC provides the administrative support for staff brokering and subcontracts the work to a school transportation company. 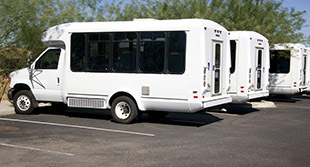 CREC Transportation Services works with surrounding districts to provide excellent services for out of district transportation. CREC combines students from different districts to common destination schools in order to offer the most affordable rates.